Award winner Crime After Crime. 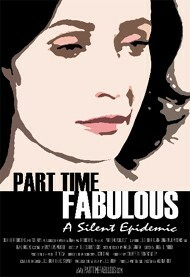 The film Part Time Fabulous was an award winner at BIFF. The winner of the Berkshire Bank â€œNext Great Filmmaker Awardâ€ was Dustin Grellaâ€™s short film PRAYERS FOR PEACE. The Berkshire International Film Festival announced the winners of the annual BIFF Juried Prize Award and the BIFF Audience Award. In the Juried documentary category, the winner was CRIME AFTER CRIME directed by Yoav Potash, the powerful documentary film on the legal battle to free Debbie Peagler, a woman imprisoned for over a quarter century due to her connection to the murder of the man who abused her. She finds her only hope for freedom when two rookie attorneys with no background in criminal law step forward to take her case. Michael Rymer’s FACE TO FACE won in the Juried narrative category, a compelling human drama based on the play by Australian playwright David Williamson. The Jury prize is sponsored by GWFF USA and was presented at a brunch Sunday at allium Restaurant . Serving on the BIFF Jury were actors Jayne Atkinson, Michel Gill and Peter Riegert, producer and distribution guru Josh Braun, writer and director Courtney Hunt, screenwriter John Orloff, casting director Gretchen Rennell and production designer Kristi Zea. The Audience Award Winner for best documentary feature was also CRIME AFTER CRIME and the Audience Award Winner for best narrative feature was Berkshire native Alethea Root’s directorial debut of PART TIME FABULOUS, an expose on what it’s really like living with Clinical Depression. The film stars Jules Bruff and both Root and Bruff were in attendance at the BIFF. The winner of the Berkshire Bank “Next Great Filmmaker Award” was Dustin Grella’s short film PRAYERS FOR PEACE a stop-motion animation confronting the memory of the artist’s younger brother killed in the current conflict in Iraq. Grella was on hand to accept the award in an emotional ceremony during the opening night in Pittsfield followed by the award-winning film, BUCK, which received a standing ovation and a Q&A with director Cindy Meehl. Highlights of the 4-day festival included the opening night screening of the documentary PAGE ONE; INSIDE THE NEW YORK TIMES. The film was greatly received by a packed house at the Mahaiwe Performing Arts Center, and the audience enjoyed a wonderful Q&A afterwards with directors Andrew Rossi and producers Kate Novack and Josh Braun. The Opening Night party, catered by Max Ultimate Food, and film was generously underwritten by Jacqueline and Al Togut. Friday evening BIFF opened in Pittsfield night with a sold-out screening of BUCK also sponsored by Berkshire Bank. Saturday evening in Great Barrington, the Mahaiwe was yet again filled for the Douglas Trumbull Tribute and the presentation of Terrence Malick’s TREE OF LIFE which Trumbull served as a visual effects advisor. The speakers were Arish Fyzee and Richard Yuricich, long-time friends and colleagues, as well as John Whalan, President of Black Ice Entertainment, Diane Pearlman, Executive Director of Berkshire Film and Media Commission and Eugenie Sills, Found of the Women’s Times. The Tribute evening was generously sponsored by GWFF USA. The BIFF also presented a special screening of WHITE IRISH DRINKERS with a Q&A with stars Karen Allen and Peter Riegert immediately following. This year, BIFF presented films at the Hancock Shaker Village and held a very special presentation of LETTERS TO ELIA (sponsored by the Berkshire Film and Media Commission) written and directed by Pittsfield native, Kent Jones and Martin Scorcese. Jones, who was presented with a key to the City of Pittsfield by Mayor James Roberto the day before, led a Q&A following the screening. Screening 70 features, documentaries, and shorts, BIFF hosted two dozen filmmakers and offered free children’s programs, Berkshire filmmakers, a Human Rights Watch Film presentation and panel discussion, the BIFF annual collaboration with Jacob’s Pillow with a special presentation of NEVER STAND STILL, and parties in the BIFF Tent at Town Hall and throughout downtown Great Barrington and Pittsfield including a filmmaker cocktail party sponsored by the Red Lion Inn. Other films screened at the festival included ‘Beginners,' 'Copacabana,' 'Happy Happy,' 'Henry of Navarre,' Kinyarwanda,' My Afternoons with Margueritte,' ‘On The Ice,' ‘Habermann,’ ‘The Trip,' ‘Chasing Madoff,' ‘Granito,' ‘Miss Representation' ‘Rebirth,’ 'Troubadours’, 'We Were Here,' ‘You Don’t Like the Truth; 4 Days Inside Guantanamo’ and ‘Youth Producing Change,' and some unforgettable short films by filmmakers in the Berkshires such as ‘Born Sweet,’ ‘Strangers No More’, ‘We Still Live Here,’ ‘You Take Yourself Wherever You Go,’ ‘Evolution Made Us All,’ ‘All In the Game,’ ‘Shudder House,’ and ‘I’m Coming Over.’ Premiere Sponsors of the 2011 BIFF include the Triplex Cinema, the Beacon Cinema, GWFF USA, Studio Two, Jacqueline and Al Togut, Max Ultimate Food, The Red Lion Inn, Berkshire Bank and Berkshire Living. Presenting Sponsors include Berkshire Mountain Distillers, Stella Artois, Karen Allen Fiber Arts, Medoff Inc., Abott’s Livery and Kwik Print. With over 700 film submissions this year, the Berkshire International Film Festival has quickly become a destination festival that filmmakers seek due to the enthusiastic audiences it attracts. 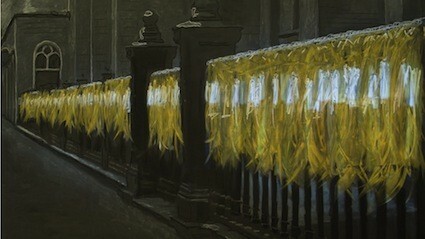 BIFF 2012 will be held May 31 – June 3, and submissions will open October 1, 2011.